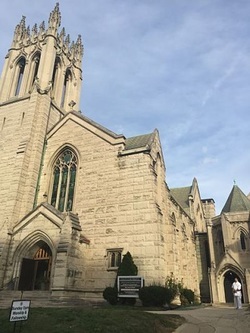 If you take the metro to DuPont Metro Station, exit to Q Street, turn right and walk few minutes to 16th Street.The Church will be on your left. The dojo is located in the Dining Room of the Church of the Holy City. When facing the main entrance, enter the side door on the right and take the steps to the basement. If the door is locked, knock on the windows of the basement and we'll open for you. Free Class: First class is free and there are no obligations. All you have to do is bring comfortable clothes and sign the wavier. We will be happy to have you in class even if you don't join us after that.